Construction for many may be a difficult industry to enter. With a lot of competition out there, it may seem tough to set your company apart from the crowd. That is why we created the Ultimate Construction Marketing Guide. While not an entirely exhaustive guide, the tables below will help you identify the various Marketing Channels that you can implement in your Construction Marketing to start winning contracts. Before getting to the tables, we should make a distinction between Marketing and Sales. It’s easy to blur the lines between both, but they are different. Marketing is different from Sales because a Marketer doesn’t sit down with a customer and get a contract signed. Sales, on the other hand, works closely with the client to close a deal. Make no mistake, marketing can strengthen trust, and make a Sale easier. For example, if customers see a construction companies banner at a job site, and the project has been progressing at a consistent pace then their sales team will have a better outcome. Marketing gets a customer in the door while Sales helps a customer purchase your product/service. Which Marketing Channels should you use first? We recommend beginning with the Channels that take the least maintenance. For instance setting up a website takes some effort at the start but requires little effort to maintain. Putting your logo and contact information on your truck also requires some initial work, but it doesn’t require any maintenance. Social Media, on the other hand, is relly easy to setup but requires continuous effort to maintain properly. Keep in mind, clients in various industries struggle with finding great contractors. Use this as an opportunity to win their initial and ongoing business. At the end of the day, results matter, and the channels that have the best results are the ones you should focus on. Branding conveys the identity of your company, therefore it should be consistent. Logo This is the image that your customers will often identify first, and it will be pervasive throughout your company. It is the foundation of all your marketing efforts. You can use Services like 99Designs to have designers create a logo for you. Colors Your logo should have a specific color template, and that template is another foundational part of your branding. Style Guides Style Guides help create rules for all marketing material, ensuring that your brand remains consistent across marketing channels. They can include rules from the Tone used in writing, to the size of certain magnets. This is where your color templates are generally defined. Lead Generation sites provide leads to professional contractors. Listing services are the online version of the Yellow Pages. By far the best way to get clients in the construction industry. Affiliates essentially share your company with others. Here are some ideas to help you brainstorm various potential affiliates and customers that can use your services. The channels we previously described could also be considered types of advertising. Paid advertising on the other hand generally entails that you pay a to publish an ad to a targetted audience. We recommend posting ads in locations where your ideal customer would see the ad. Paid placement on the Yellowpages website. Did you know that diversification could be a marketing channel? Using your core services in various niches will improve your revenue and open the doors to new clients. If you ask for marketing or sales advice from someone that has been in the Construction Industry for a long time, you will find that they either knew someone that gave them work, or they drove around to find work. Door to Door Sales Find properties that look as though they may be in need of your services. 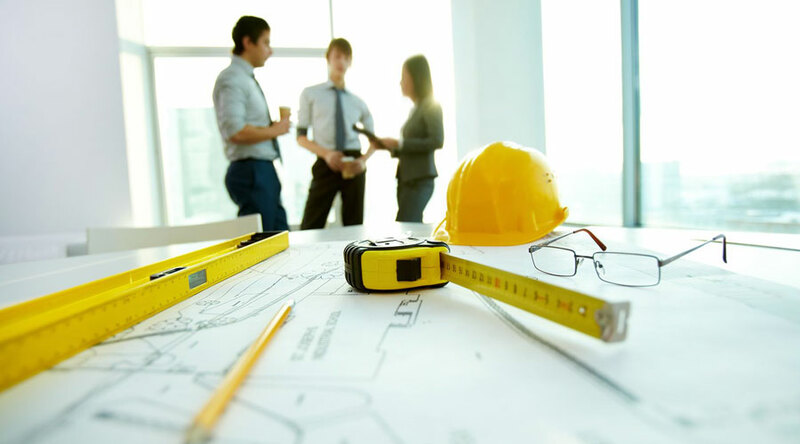 Construction Site Visits If you are not a General Contractor and you are looking for work, a GC may need your services on a project. Perhaps the most misunderstood marketing channel. The allure of Internet marketing it has the highest potential ROI. However, Internet Marketing requires ongoing maintenance to stand out from the millions of other companies vying for traffic. You will need to create a high-quality, engaging brand to differentiate yourself from the crowd. Websites are one of the cornerstones for business. They help potential customers view your portfolio of work, and read testimonials, but customers will also judge your services based on the quality of your website. Here are a few tips that can help you when you are building your website. If you have Testimonials from customers, include them on your homepage. GoDaddy, which provides website hosting, has many promos, so if you are setting up an entirely new website, you can find discount codes using Retail Me Not. The other way for customers to find your site is by sharing content from your site on Social Media. Many construction companies like to share images or video of projects they are currently working on. This brief guide was meant to provide you with a glimpse into many of the potential marketing channels that you can take advantage of to grow your business. Unless you are incredibly lucky, you will have a difficult time finding success using only one channel. You will find your best opportunities starting with your Sphere of Influence, and as you incorporate each new channel you will improve your exposure to potential customers. For any of these channels to be successful in the long run, your services should live up to, or exceed your marketing claims. Well executed projects guarantee happy customers. 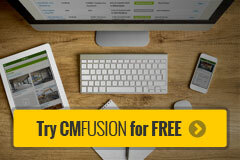 CMFusion is a Cloud Based Construction Software that will help your company execute, and provide consistent results. It has several features to aid in organization, scheduling, and managing a variety of Construction Projects.